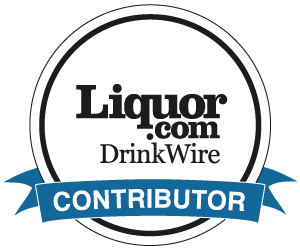 Imbibe is a great consumer magazine focused on beverages. It's on its 11th issue in the USA. The January/February edition of the USA magazine has a great article on absinthe, written by Paul Clarke of Cocktail Chronicles. I ordered my copy from Amazon US which got to me in the UK in two weeks in a big well-packed box which provided great protection for my precious magazine (what will it be worth in 100 years?). For copyright reasons, I cannot post the article directly here, but I am glad to see that the magazine has now put it online. Thanks, Paul. Everyone can read the full article here. 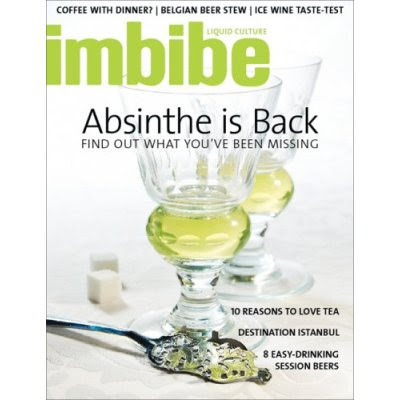 And to correct an earlier mistake, I understand that the UK Imbibe magazine is not related to the USA magazine ... Sorry for the mistake. Thanks for sharing this interesting resource. I will check it out! Anyway, if you are interested to buy absinthe products, I would like suggest Buy-Absinthe-Alcohol.com. It offers high quality absinthe products as well as its accessories. Hope you'll visit it and thanks!